How to make a Healthy Income! How to make a Healthy Income webinar! 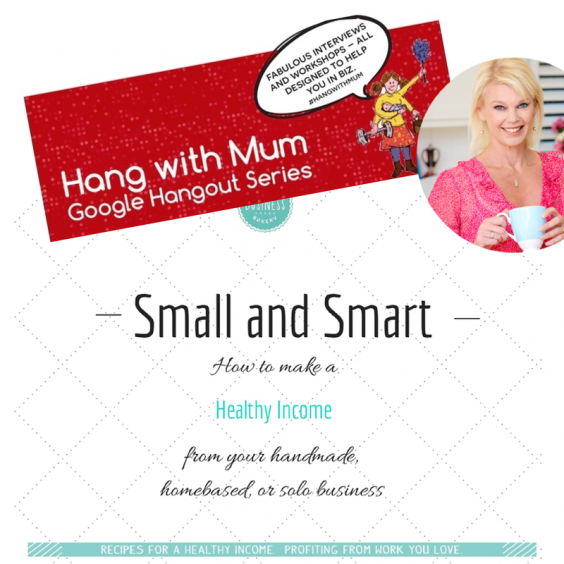 Here’s a webinar I did recently for Motivating Mum. The theme is Small+Smart: How to make a Healthy Income from your handmade, homebased, boutique or other solo business. I thought you might like to hear some of the TIPS! It’s a bit rambly (my fault!) so here are the timings and you can fast forward if you fancy! If you’re doing the Healthy Income Program some of this will be very familiar! If you’re not doing the Healthy Income Program and want to find out more you can here, and if you’re after the Motivating Mum Healthy Income Program *special* you can find it here! Got a Healthy Income question? Pop it in the comments (keep scrolling down, down, down this page to get to the comments!) or, if it’s kinda private to your business, you can send it straight to me here!